It is always nice to hear from other bloggers. This morning, I received an email from Donna Mitchell, who has listed her Top 20 Sites for Do It Yourself Law on her blog, Paralegal Schools Online. 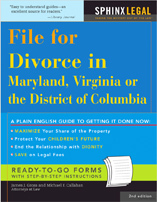 You can also find legal information specifically for Maryland, Virginia and DC divorces on our website. Joseph Keller updated this post on August 13, 2018, with this list of online resources for divorce. Muhammad Ali Divorce Quote Do You Have a Lousy Spouse?